Seattle based MOD Pizza opened its first Virginia location in Gainesville last month with the second to follow in Ashburn. 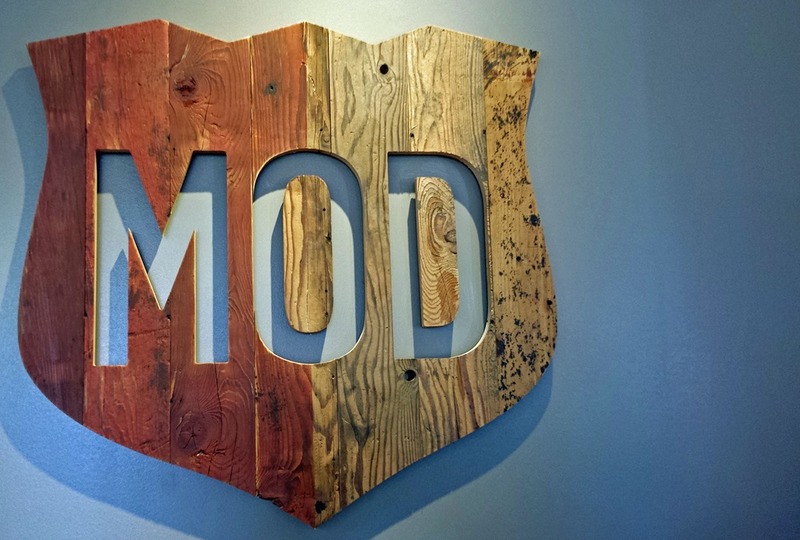 MOD stands for “made on demand” with a focus on allowing customers to choose from nearly 50 ingredients and toppings or select one of the 9 named combinations from the menu. Founded in Seattle in 2008 the company has begun a strong franchising push and now has 102 open or forthcoming locations nationwide. 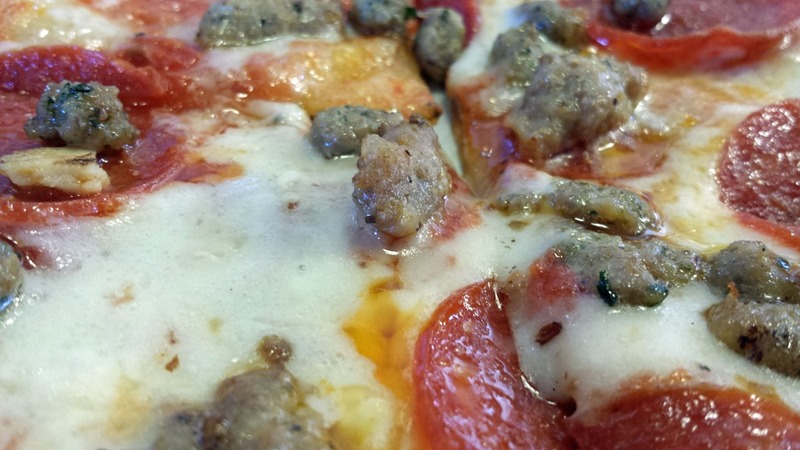 I chose the Mad Dog with Mozzarella, pepperoni, mild sausage, crumbled meatballs, and MOD red sauce. The sausage had a nice light sweet flavor. My 4 slice personal pie was ready in just a few minutes and piping hot from the oven. I could see the super thin crust allows the pizza to cook quickly. 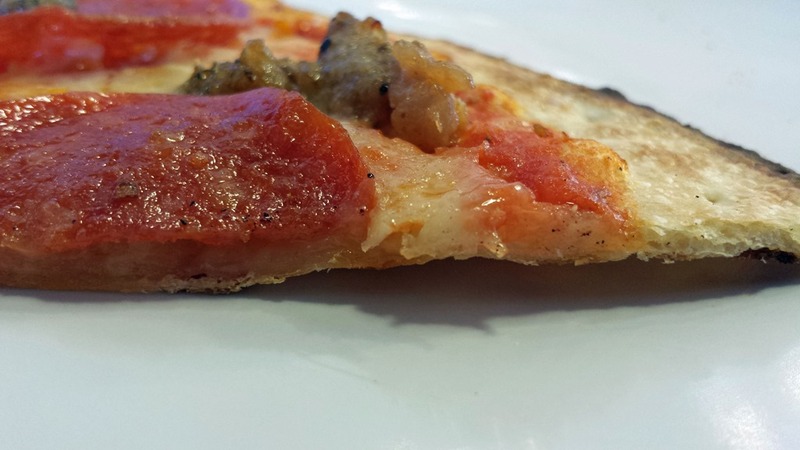 The pizza was done perfectly with just a hint of char on the ultra-thin edges. The pizza had a great taste driven mostly by the choice of toppings. 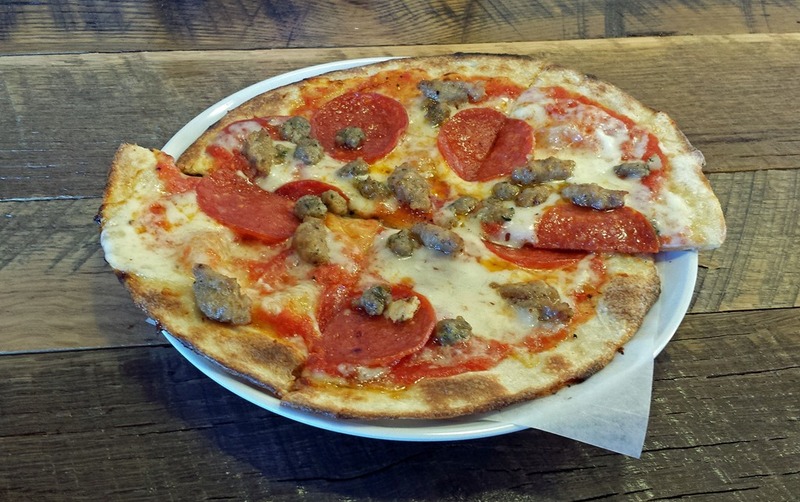 With thin crust pizza, and especially one as thin as this, it becomes less about the dough and more about it being just a holder for the toppings. Choose wisely! This is an assembly line process with you selecting the ingredients much like making a sandwich at Subway. After you pay and it goes in the oven they call your name when your pie is ready. 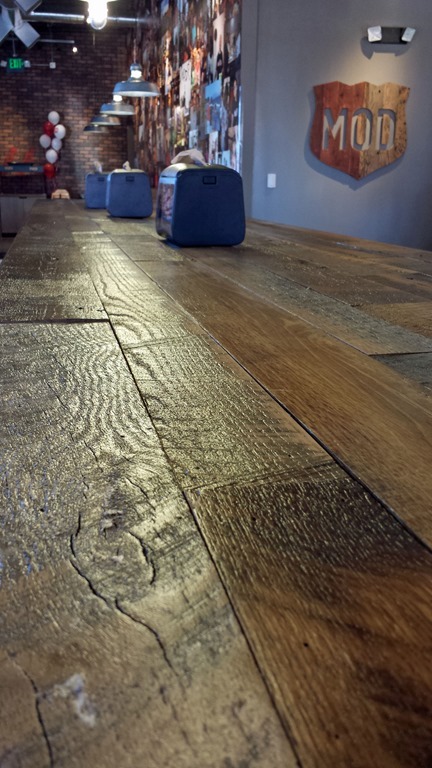 As with most new restaurants the décor does little to lessen the noise. I did not hear them call my name and had to go looking for my pizza. The best news is the price, the 6” personal pizza I ordered is $4.87 and a soda for $2.77. Lunch for under $10 is rare. While we try hard to maintain the integrity of our gluten free crust, please be aware that it does run the risk of exposure to wheat-based products. Due to the risk of cross contamination, MOD DOES NOT RECOMMEND this pizza for those with celiac disease or other gluten allergies.